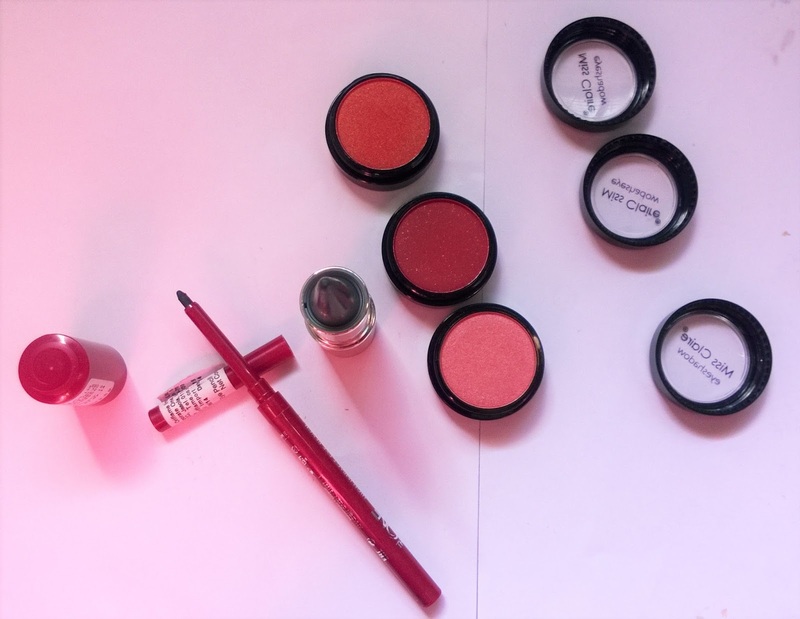 Hey beautifuls, recently I ave been trying many deep shades of eye shadows, which is quite uncommon for me as I have always been a lover of neutral shadows that has shimmers. But this being the festival season I thought of going a bit experimental when it comes to eye colours and here I come with an eye makeup look that I have incorporated with a lot of vivid shades, featuring Oriflame and Miss Claire. I have used 3 eye shadow colours from Miss Claire. Starting from the centre of the lid to the outer corners I have used the Miss Claire Eyeshadow in 0506. Then from the centre of the lid to the inner corner I have applied the Miss Claire Eyeshadow in 0503. I blended both to make an uniform spread of bright pink. On the centre of the lid I applied the Miss Claire Eyeshadow in 0113, a shimmery lightish pink. 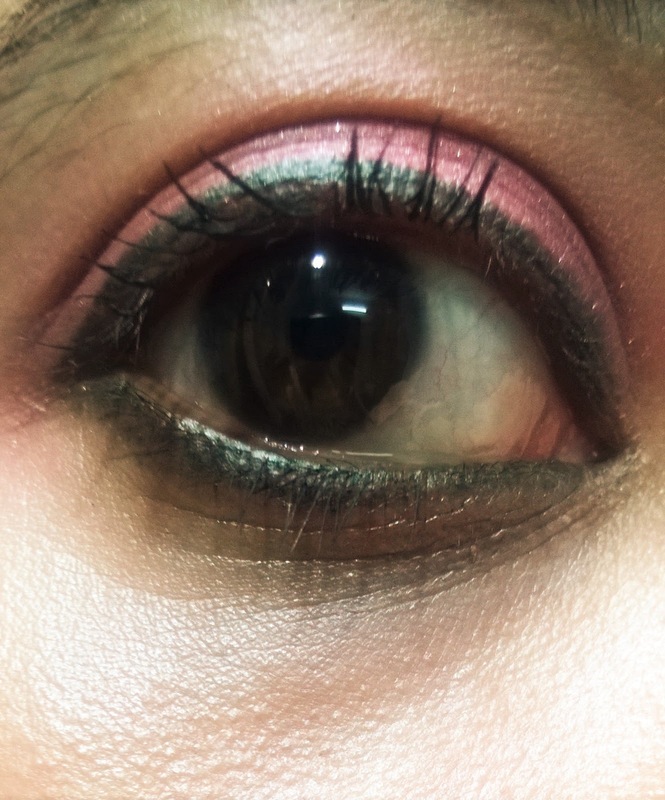 On the outer crease I applied the Oriflame The One Kajal Eye Liner in Smoky Charcoal, which is a beautiful grey shade. I blended the same to define my crease line. I lined my eyes with the Oriflame The One High Impact Eye Pencil in Amazon Green. I finished with 2 coats of Oriflame The One Volume Blast Mascara on the lashes. I hope you will like this EOTD. It is so cool for the festivals.